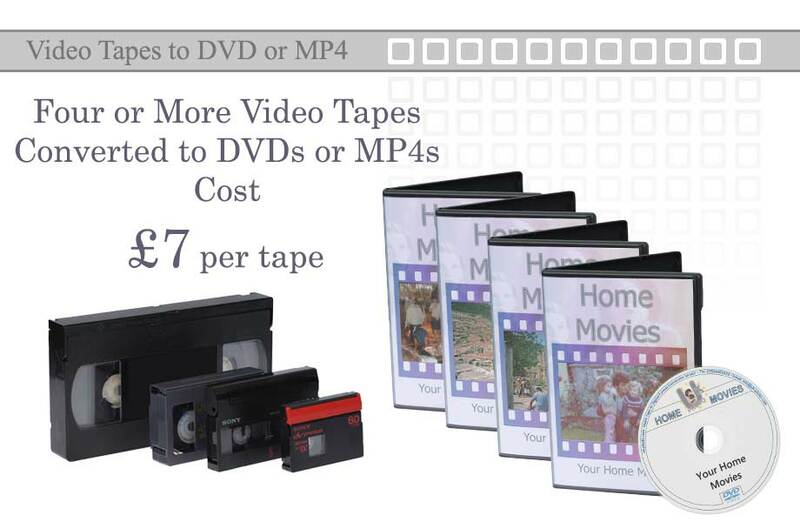 Bring Or Post Your Tapes To Our Shop For Fast And Efficient Quality Conversions. If you have any questions regarding our video tape transfer service, please enter them in the box above. These buttons will provide more information on your particular tape format. Supported tape formats explained below. VHS, VHS-C and S-VHS tapes are supported. Video Home System was developed by JVC in the 1970s as a means of recording TV programs at home. Previously, only TV studios had possessed such technology. Unfortunately, the magnetic tape in these cassettes will degrade over time and the recordings will become gradually corrupted. MiniDV is a digital format that is recorded onto magnetic tape. Larger versions of this tape were used within the broadcasting industry - though MiniDV found it's way into professional use too. The two tape manufacturers were Sony and Panasonic (Panasonic made the tapes for TDK, Canon an others) The two brands used a different form of lubrication on their tapes. Sony used a wet lubrication and Panasonic used a dry one. Using one brand's tapes on the other's equipment was said to cause quality issues. Sony eventually switched to a dry lubrication. 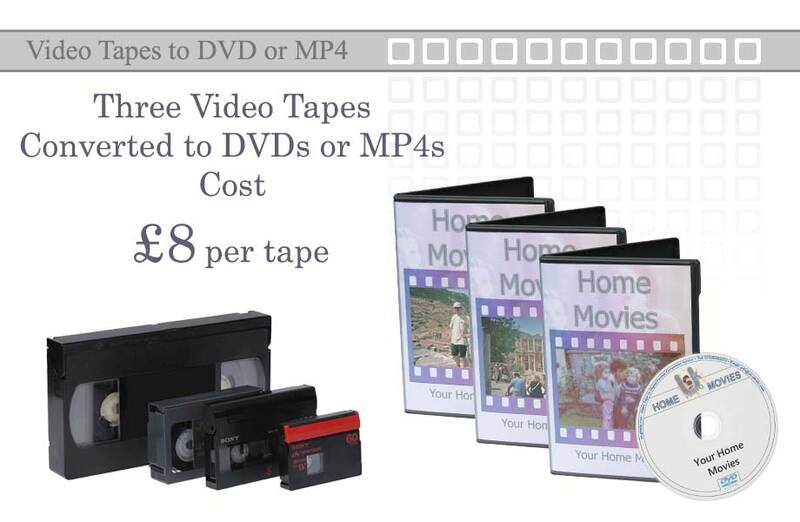 Video8, Hi8 and Digital8 tapes are supported. These formats were developed by Sony. Video8 was the earliest of these formats. It's an analog system and has a resolution of 220 horizontal lines. this resolution matches VHS, though Video8 had better sound quality than early VHS. Hi8 represented an increase in resolution to 400 horizontal lines. Though it uses the same size tapes, improvements in the grade of the magnetic tape and enhanced recording techniques allowed for an almost doubling of the resolution. Digital sound was also introduced to some models of camera. Digital8 is the digital version of the previous two formats. It uses the same recording standard as the more popular MiniDV, but allows some camcorders to be backwards compatible with Video8 and Hi8 which could be an advantage to anyone progressing from these earlier systems. 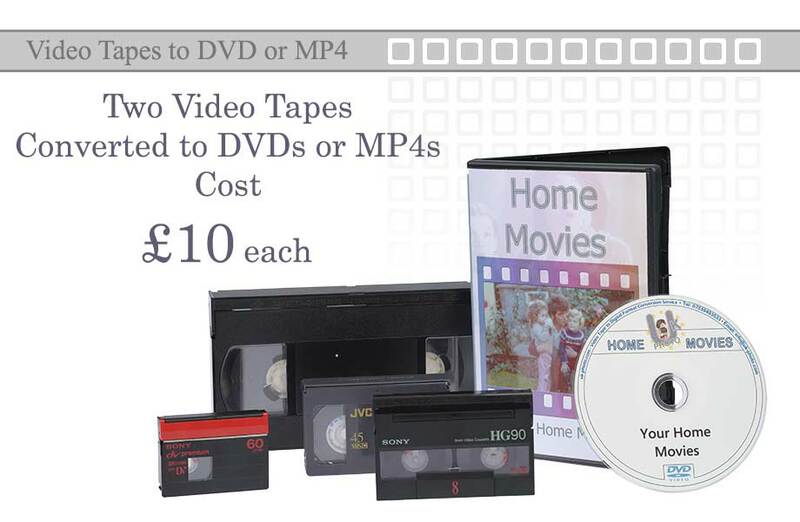 DVDs were developed by Panasonic, Philips, Sony, and Toshiba in 1995. The disc can store any type of digital information, but is frequently used for video programs watched using a DVD player. The Mp4 video file is more modern and versatile than the DVD video format. It is suitable for being played on media players, modern televisions, computers, tablets, telephones and can be streamed on websites. 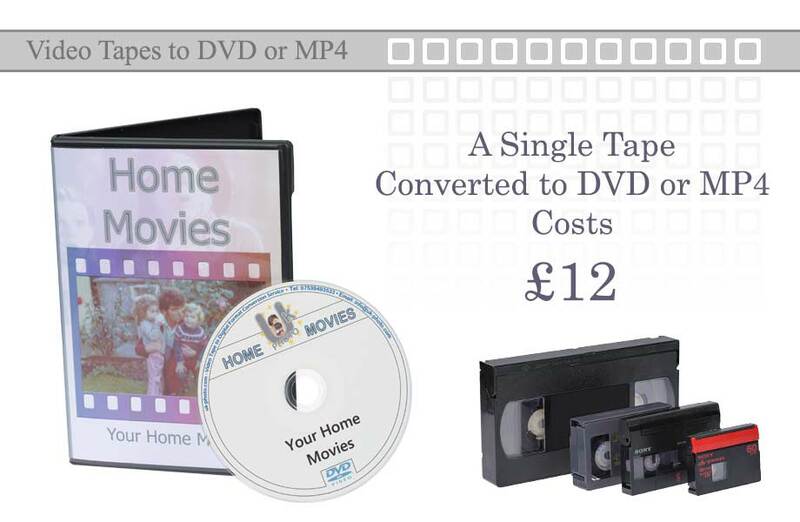 We can provide MP4s on Disc or USB Sticks.